Click It! is a new program that is on offer for pre-school children at our nurseries. 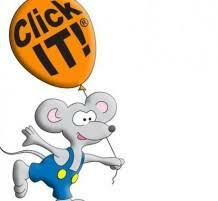 Click IT! provides pre-school computer classes.replika hublotThey provide weekly lessons at our nursery, with an individual tutor (1:3 ratio) will develop and extend children’s basic computer knowledge and mouse control skills in preparation for school. Using an innovative collection of computer activities for 2-5 year olds,replicas rolex your child will be taking their first steps in using technology to learn, create, solve and play. Their lessons plans are designed to complement the key learning skills defined in the EYFS Curriculum. Working through these IT skills levels,replicas panerai the tutors engage children in a fun and interactive way. Children also enjoy printing their work for the nursery wall display, development folders or taking home.